Today’s headline ‘UK fraud hits record £1.1bn as cybercrime soars’ (warns KPMG) caught my eye as we had been talking at Tree of Hope about the issue of fake crowdfunding pages taking in unsuspecting donors. Particularly this time of year, when money is scarcer than usual for the average person any money donated really means something to the donor. That donor also wants reassurance that the funding they are giving to a sick child will actually go towards that child’s needs and that the child actually exists. Many crowdfunding sites have been putting in measures to combat fraud and those people willing to scam well-meaning donors, but whilst sites like GoFundMe has said it will refund anyone that falls victim to these fake pages the damage is done and credibility for all campaigns, real or not, is called into question. 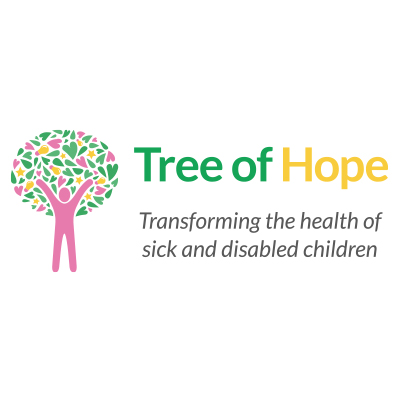 Any campaign linked to a registered charity such as Tree of Hope will help provide significant donor reassurance as we are regulated and adhere to strict standards of fundraising best practice. When we are approached by a family wishing to crowdfund through us we check out the family exists and that the child has the condition and needs specified. That’s a reassuring fact for those donating to campaigns linked to Tree of Hope and why so many Trusts, Foundations and donors come through our site to make their donations of support to campaigns they do not know personally. Charity linked pages will contain a logo and a weblink- if they are not there ask yourself is this campaign real? Who has undertaken the checks to ensure that it is? We work with all our families to ensure their campaigns are clear, contain full information about their child’s needs and condition and ensure their pages are regularly updated. Fake campaigns are often scant of detail, are not updated and often contain limited or library photos. If the page looks impersonal then question it. There may be no real person behind the campaign at all. And just because your friend has supported a page doesn’t make it real unless they know the campaign subject or their family personally. People often get swept up in an emotive story, they support to do the right thing and to be seen doing it. If you’re not sure yourself wait until you are before you donate. Often real campaigns that are extremely emotive get picked up by national or local media and it can provide you real reassurance when you see them featured on TV or in the newspaper and provide you with the confidence to donate. At Tree of Hope we help many of our campaigns to gain media attention, knowing that it will help others see their story and donate because they know it’s real. So, don’t let this put you off donating. But rather let our thoughts make you stop and think before donating your hard earned money to ensure that whoever you decide to donate to, your money will make a difference to a real child with a real need. Has the campaign had a lot of media coverage? Have any high profile people put their names to it?